Located in the Emerald Tower, Deluxe Junior Suites are 700 square feet or larger. 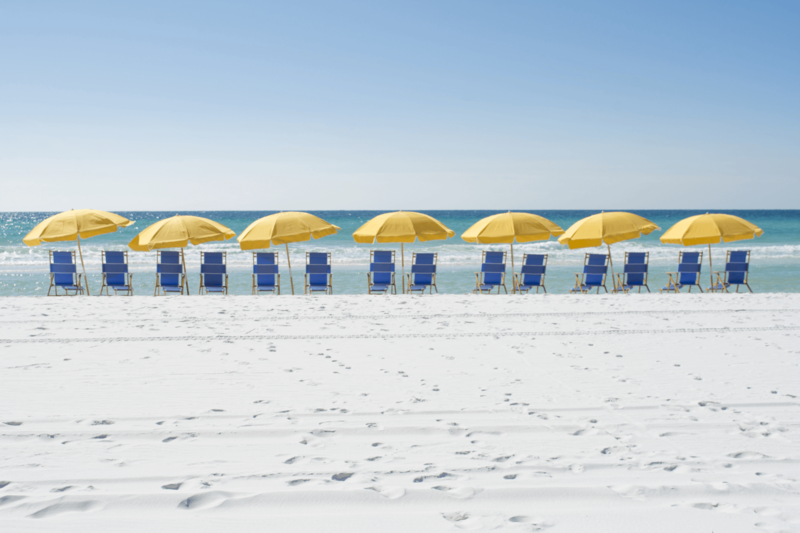 These accommodations are popular with our business travelers because of their proximity to our meeting spaces. 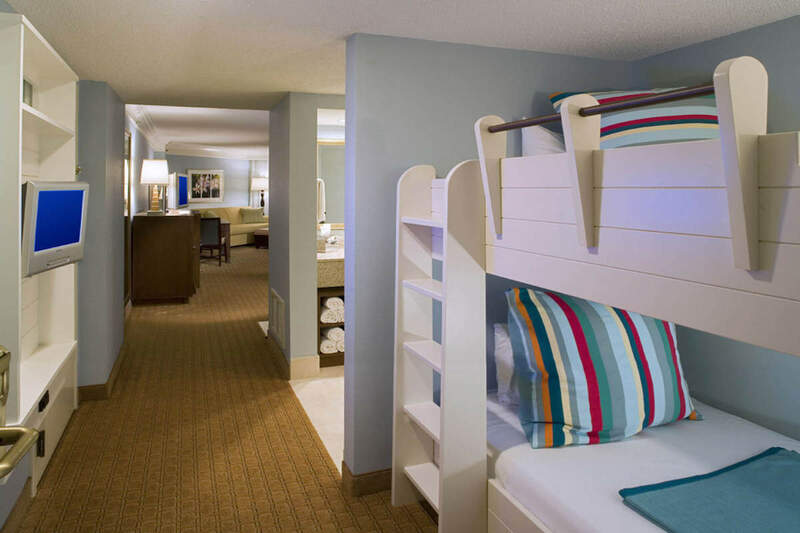 But they are also very popular with families vacationing with children, as each suite features a separate sleeping area the kids love with attractive and safe white-wood bunk beds and their own television. The first-floor suites in the Emerald Tower are Lanai Suites, with walkout access to the adjacent pool and patio. 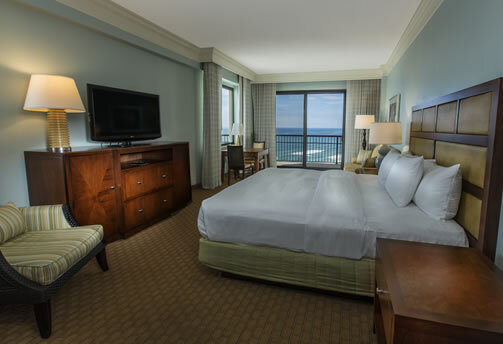 The Deluxe Junior Suites feature either one king or two double beds, and private balconies with full or partial views of the Gulf of Mexico. We also offer Deluxe One-Bedroom Family Suites, which include everything available in the Deluxe Junior Suites, plus a separate master bedroom with king bed and bathroom. Some rooms feature beautiful wrap-around balconies, great for watching both the sunset and sunrise.